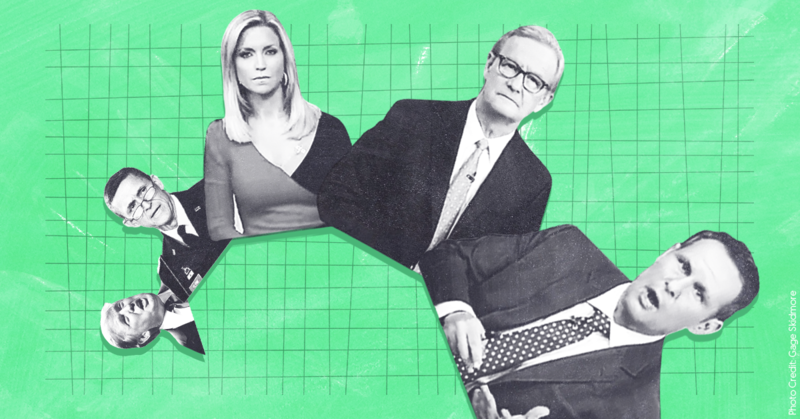 The network’s hosts have been particularly interested in obtaining pardons for former national security adviser Michael Flynn and former Trump campaign foreign policy aide George Papadopoulos, who both pleaded guilty to making false statements to the FBI, and for Trump confidant Roger Stone, who has been indicted on seven counts including lying to Congress and witness tampering. These calls may end up having an impact -- Trump regularly watches Fox and has previously issued pardons in response to the network’s programming. Tucker Carlson has led the way, pushing for pardons on three different broadcasts of his show in the last week, particularly for Stone. Trump reportedly loves Carlson’s show and watches it regularly, and he often tweets about Carlson segments that catch his attention. “Do it right now on Twitter,” Caputo responded. “I agree! I agree!” Carlson said. “I think it is the time for pardons,” Kiriakou replied. While Carlson has been the loudest Fox voice urging Trump to issue pardons, he is not the only one. 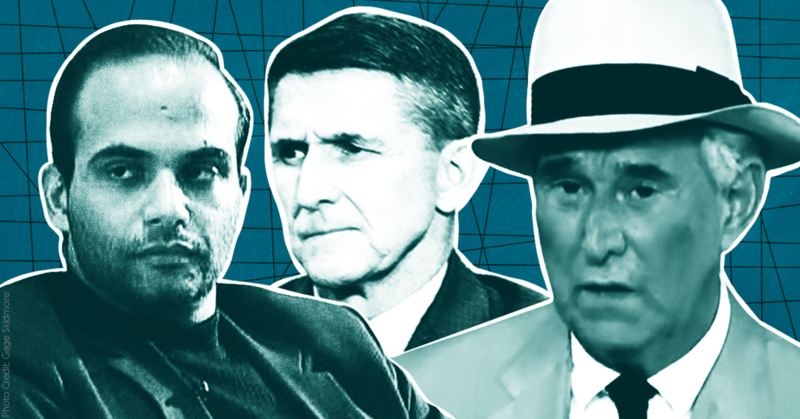 On Tuesday, Papadopoulos announced that his lawyers had formally requested a pardon from the president, triggering debate on several of the network’s programs. Fox’s Steve Hilton told Special Report guest host John Roberts that he would recommend Trump issue the pardon to ensure “fairness and equal justice.” Sen. Rand Paul (R-KY) told Fox’s Neil Cavuto that the president should instead pardon Flynn, whose investigation Paul claimed had been “unfair.” And Fox Business’ Stuart Varney said that he expected pardons for both to be granted. On Tuesday night, Papadopoulos was able to make his pitch to the president directly through a friendly interview with Fox’s Martha MacCallum. If Trump is heeding the messages he’s been getting from Fox, Papadopoulos may get his wish. U.S. District Judge Emmet Sullivan tore into President Donald Trump’s former national security adviser Michael Flynn in a Washington, D.C., courtroom on December 18 and all but destroyed nearly a week’s worth of right-wing talking points in the process, but viewers wouldn’t know it from watching Fox & Friends. According to a Media Matters review of the December 19 edition of Fox & Friends, Fox News’ flagship morning program only briefly mentioned Flynn’s sentencing hearing to attack the judge in the case during three hours of programming. A popular right-wing talking point pushed extensively on Fox News has argued that Flynn was entrapped by the FBI when they questioned him in January 2017, and that the actions for which he was in legal trouble were minor and overblown. But according to a CNN report on the sentencing hearing, “the judge threw a series of questions at him that highlighted how unusual Flynn's case is and how consequential his actions may be.” Later in the hearing, according to ABC News, Sullivan asked “if Flynn believed he had been entrapped by the FBI,” but “his attorneys replied ‘no your honor.’” Though Sullivan eventually decided to postpone the sentencing hearing, he did so only after shredding Flynn’s defense and mulling the prospect of ignoring the prosecution’s sentencing suggestion that Flynn receive no jail time as a result of his cooperation. Fox & Friends has dutifully played its public relations role for the Trump White House for nearly two years, and it continues fighting that losing battle even in the face of Flynn’s sentencing hearing -- just like it has with nearly every other damning report about the conduct of the Trump campaign, transition, and administration. Sebastian Gorka tells Hannity Trump "could pardon Gen. Flynn, and he'd make a great chief of staff"
Lou Dobbs and Judicial Watch's Tom Fitton call on Trump to "just pardon everybody, you know, just have a field day"
The Federalist's Mollie Hemingway: Flynn's guilty plea shows media have been "willful vassals of an intelligence apparatus"
Tucker Carlson: "Flynn was apparently trying to promote U.S. interests"
Fox's Catherine Herridge: Flynn's contact with Russians isn't as "sinister sounding, perhaps, as in the black and white of the court documents"
Fox's Shepard Smith: Michael Flynn's guilty plea proves it is "a lie" to call Mueller's investigation "fake news"
Fox News contributor Steve Cortes, who acted as a Trump campaign surrogate during the 2016 presidential election cycle, pulled out all the stops in response to breaking news that former Trump administration national security adviser Michael Flynn pleaded guilty to lying to the FBI about his contacts with agents of the Russian government. 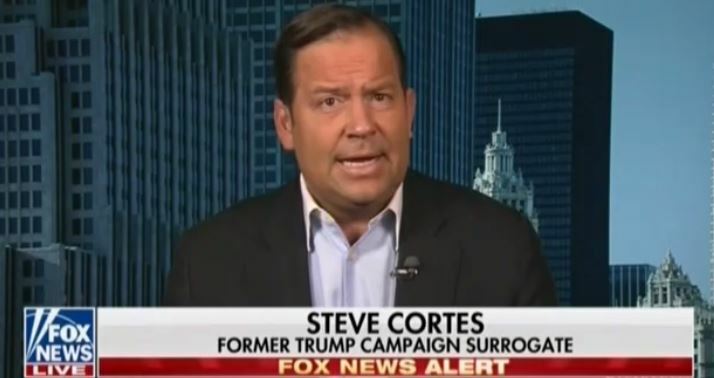 Cortes downplayed the bombshell news, saying it wasn’t “even a firecracker,” claimed the whole narrative was a “collusion delusion,” and asserted that “regular Americans” are not concerned with Russia. President Donald Trump’s numerous other right-wing media defenders also downplayed the significance of reports that Flynn had agreed to plead guilty to charges emanating from special counsel Robert Mueller’s ongoing investigation into Russia’s meddling in the 2016 election and attempted to deflect attention to other pseudo-scandals. The White House also issued a statement to further downplay the severity of the situation.